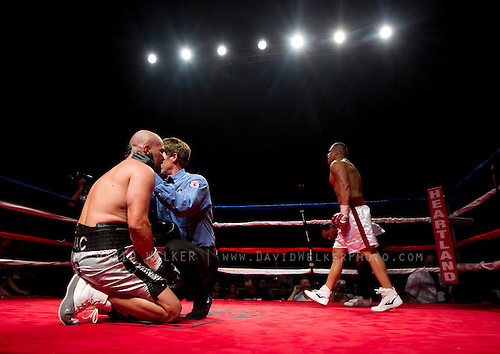 I love boxing and MMA. As a former high school wrestler, I have this competitive drive in me and sports where it is one competitor against another competitor, I just can’t get away from them. Boxing and MMA is one of those things that I absolutely love to shoot, because it brings back some great memories from my wrestling days. 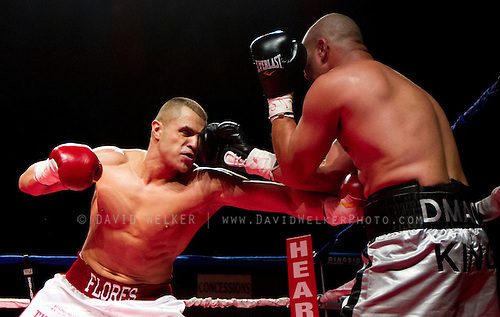 When I got a call from the photo editor at the News-Leader, I was really excited to be shooting the main fight of the night. 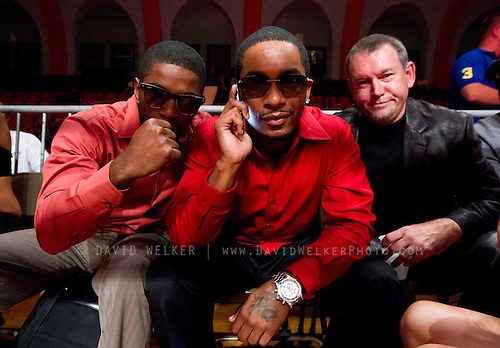 I had also never been to the Shrine Mosque where the fights were taking place. It a pretty neat venue to say the least. 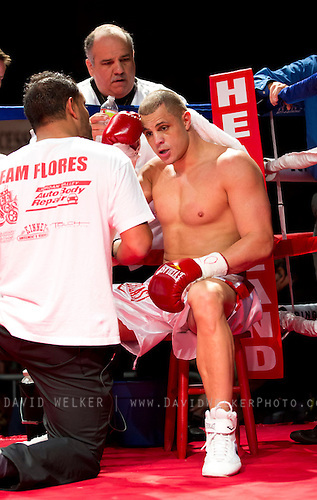 BJ Flores, a local fighter, was on the card in the main event bout and that brought a decent crowd to watch the fight unfold. The ring was a bit hot (bright) in the center, but I am pretty happy with the images that I came away with. 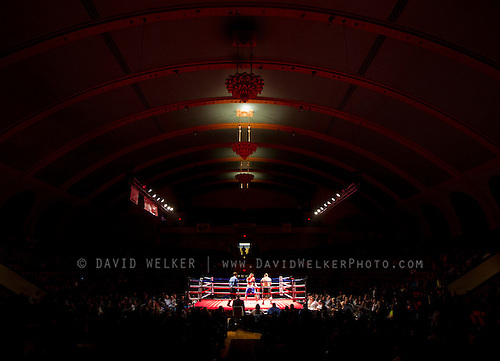 This entry was posted in Boxing and tagged Boxing, Fight Night at the Shrine, Flores, Shrine Mosque, Springfield Missouri on October 8, 2012 by DavidWelkerPhoto.